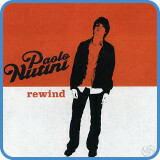 ‘Rewind’ is a single from Paolo Nutini‘s first album ‘These Streets’. 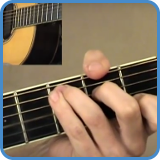 The simple chord progression hides a few extensions and variations, adding color and tension. 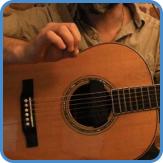 Arranged for just one guitar, it is perhaps the strumming pattern, with its many upstrokes that are the most difficult to learn. 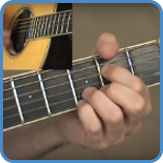 In the video lessons above, you’ll see how to play the entire song, including all chords on just one acoustic guitar. Here are the chords for the intro/verse. The pre-chorus use a chord from outside the key, the E should have been an Em. The chorus/outro sections use the standard I – V – VI – IV progression, same as ‘I’m Yours’ and another hundred (at least) hits. The m8 is a variation on the bridge progression, a classic VI chord with a falling bass line progression. A few extensions, variations, and slash chords are to be found in ‘Rewind’, let’s go over them one by one. 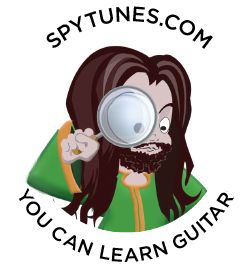 You get the full lesson on how to play ‘Rewind’ with a complete TAB chart when you take the beginner course. For complete lyrics, go to Rewind lyrics. 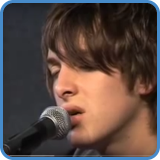 Paolo Nutini’s career started when an artist was late to perform in his school, Paolo was asked by the music teacher to go up and sing a song. The reaction from the crowd to Paolo’s naturally stunning voice caught the attention of his (soon to be) manager who happened to be in the crowd. To find out more, go to Paolo Nutini biography. 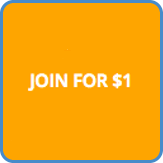 Not only will learning songs help you with switching from one chord to another and improve your rhythm playing – they also hold the key to how music works theoretically. We all have to start somewhere, but for how long do you strum simple songs? What do you need to know to play real songs? What exercises should you practice to warm-up and improve your technique? How do you understand and change the key of a chord progression of a song? Learn how to play famous beginner songs. ‘Ain’t No Sunshine’, ‘The Drugs Don’t Work’, ‘One More Cup Of Coffee’, ‘Redemption Song’, ‘Rewind’. ‘Robin Hood’, ‘Talking About A Revolution’, ‘Time Of Your Life’, and ‘Wonderwall’.